The previous facility closed after a national accrediting agency found examples of slipshod work and botched evidence testing there, but the problems dated as far back as 2003. 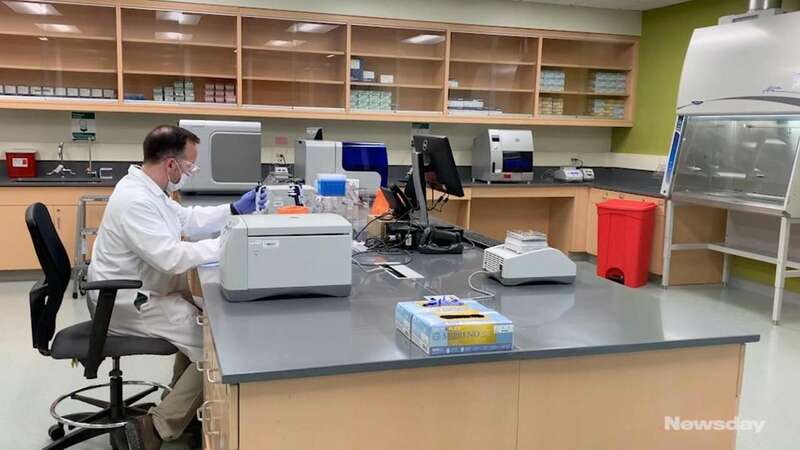 Nassau County plans to open a new Westbury crime lab in late June, following more than a decade of critical errors that led to the closing of the old police forensic facility. The previous facility was closed in 2011 after a national accrediting agency found examples of slipshod work and botched evidence testing there, but the problems dated as far back as 2003. "It's been a difficult history," County Executive Laura Curran said Wednesday during a tour of the Westbury facility with District Attorney Madeline Singas, Police Commissioner Patrick Ryder, Legis. Rose Marie Walker and Pasquale Buffolino, the lab's director. The $24.4 million crime lab will be about four times the space of the previous East Meadow lab, and officials are hoping to get accreditation for other disciplines, such as crime scene reconstruction, trace evidence and ballistics testing within about a year, according to Buffolino. "It's a long time coming for us," Buffolino said. Officials called the new location "state-of-the-art" and said it includes a functioning firearms range, a 24-hour evidence intake area and a crime scene reconstruction garage. Construction began in 2015. The lab's annual operating budget is $3.4 million, plus $807,000 in grant funding. "We are prepared to meet the future," Singas said. The county currently tests certain evidence at the medical examiner's office in East Meadow, but others are outsourced to the State Police, as well as facilities in Westchester and Pennsylvania. The outsourcing is expensive, officials said, because the experts must often be brought to Nassau County to testify in court. The American Society of Crime Laboratory Directors' Laboratory Accreditation Board, a North Carolina organization that accredits crime labs for state agencies, put the Nassau facility on probation in August 2006, following a 2005 review. Problems found in 2005 and 2010 included lab employees — both civilians and police detectives — who did not follow protocols that possibly compromised test results, equipment that was not regularly maintained to ensure accuracy, and analysts who failed proficiency exams or were not tested at all. Nassau officials closed the lab in 2011, and dozens of court filings followed from defendants seeking to have their charges or convictions overturned, saying they were based on unreliable evidence. The county was re-accredited beginning in 2013, and most recently again this month, officials said. At the new facility, Buffolino said, officials hope to reduce the average evidence analysis time. The lab processes evidence for the county's police departments, the district attorney's office and the medical examiner. While some of the work is already underway in Westbury, the full changeover is expected in the summer. There are 40 employees in East Meadow, and officials plan to add 10 to 15 more staffers. "The end of June can't come soon enough," said Walker (R-Hicksville).